Welcome to our occasional feature, the news round-up, where we give you the latest and the greatest in social media. This week's round-up features Snapchat, Amazon, Twitter, and Pinterest. Amazon will now allow shoppers to add items to their cart using Twitter. According to CNET, "Starting today, Twitter users can link their accounts to an Amazon account, and automatically add items to the shopping cart by responding to any tweet with an Amazon product link bearing the hashtag #AmazonCart. Customers never leave the Twitter feed, and the product is waiting for them when they head over to Amazon." Read the full story. 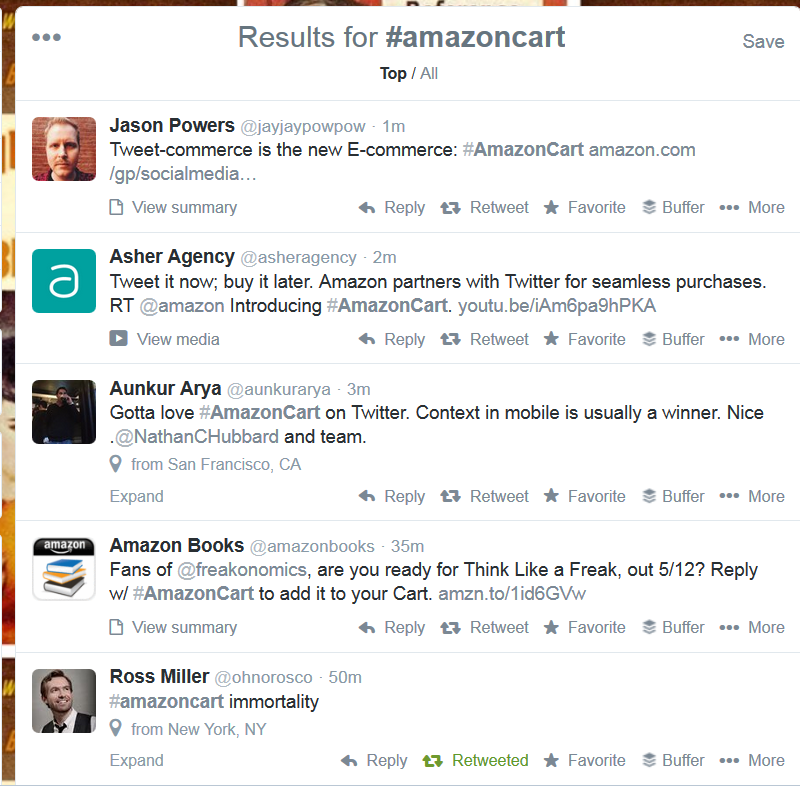 Twitter lit up with #amazoncart tweets on Monday morning. According to NPR, "A quick search on Pinterest shows about 85 boards from police departments around the country — including Kansas City, Mo., police — who have used Pinterest to help solve burglary and robbery cases, locate missing people and educate parents about street drugs their kids may be using." Read the full story. 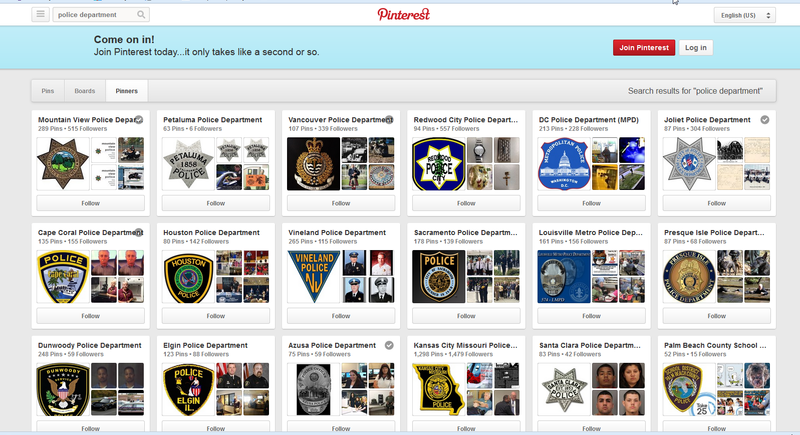 A quick search of the phrase "police department" on Pinterest yields many results.